Apple’s CEO Tim Cook arrived in India on late Tuesday to announce future plans for the company in the world’s third-biggest smartphone market. The tech giant will set up a Design and Development Accelerator plant in Bengaluru. It seeks to boost the creation of iOS apps in the “home of India’s startup scene”. On Wednesday, Cook visited the Shree Siddhivinayak temple in Prabhadevi, alongside Apple India head Sanjay Kaul. They later met with tech executives and Bollywood leaders, said the Times of India. Apple is interested in supporting engineering initiatives in the region. The new Design and Development Accelerator in Bengaluru wants to attract Indian developers. Apple’s team will provide tutoring in design quality and efficiency for iOS. More than one million people in Bengaluru work in the tech sector. An estimated 40 percent of college graduates in Bengaluru “specialize in engineering or information technology”, said Apple in a press release issued Wednesday. The new facility is expected to open in early 2017. “India is home to one of the most vibrant and entrepreneurial iOS development communities in the world. With the opening of this new facility in Bengaluru, we’re giving developers access to tools which will help them create innovative apps for customers around the world,” said Cook. Every week, specialists will meet developers to show them one-on-one app reviews. The centre will also offer support for Swift, a programming language for iOS, Mac, Apple TV and Apple Watch. Jobs asking for Swift developers increased 600 percent in 2015, said research firm Toptal. Zomato CEO Deepinder Goyal said Apple’s actions show a “huge vote of confidence” in Indian developers. He remarked that the new facility would lead to “world-class design and development expertise”. “The skills and training they gain through this effort will significantly improve their app design and help them reach a broader market. Initiatives like these move the country forward in our efforts to advance a growth-led and sustainable technology sector,” said NASSCOM President R Chandrashekhar. Research firm Counterpoint said early 2016 that India is about to overcome the United States in smartphone sales. The Asian country with a population of 1.252 billion inhabitants would be the second-biggest smartphone market when considering active unique users. There would be 220 million smartphone users in India by the end of the year, the firm calculated. The general smartphone adoption would reach 30 percent when taking population into account. The country is in the spotlight of many major smartphone manufacturers. An estimated 150 smartphone brands are selling their products in India, as reported by Tarun Pathak, senior analyst at Counterpoint Research. The country is also the place of many assembly factories. 50 percent of smartphone devices sold in India are assembled there. Pathak said that initiatives carried out by the Indian government are impulsing the mobile market in the region. Since 2014, India has attracted companies to establish manufacturing facilities there, as part of Make in India’s program. Analysts at the Economic Times suggested that India would invite Apple to join Make in India. However, the tech company would wait a few more years to establish there. Top executives of Facebook, Amazon, Google and Microsoft have also visited the country. Sales of iPhone devices increased 56 percent in India, during the first three months of 2016. During the same period, sales of the Apple’s flagship were down to 11 percent in China. The latter is the second most important market of the company, after the United States, said IBTimes. “Because the smartphones that are working in India are low end, primarily because of the network and the economies, the market potential has not been great. But I view India where China was seven to ten years ago. I think there’s a really great opportunity there,” Cook said, according to IBTimes. On Thursday last week, the Silicon Valley economic leader invested $1 billion in Didi Chuxing. Tim cook said that allying with the Chinese transportation network would provide Apple a better view at the Chinese Market. Didi Chuxing is one the Uber’s major competitors. Taxi services offered by the company are widely used in Beijing. Analysts suggest that Apple is also interested in adding Apple Pay support to the mobile app. Mobile payments in China are mostly dominated by the chatting app WeChat. 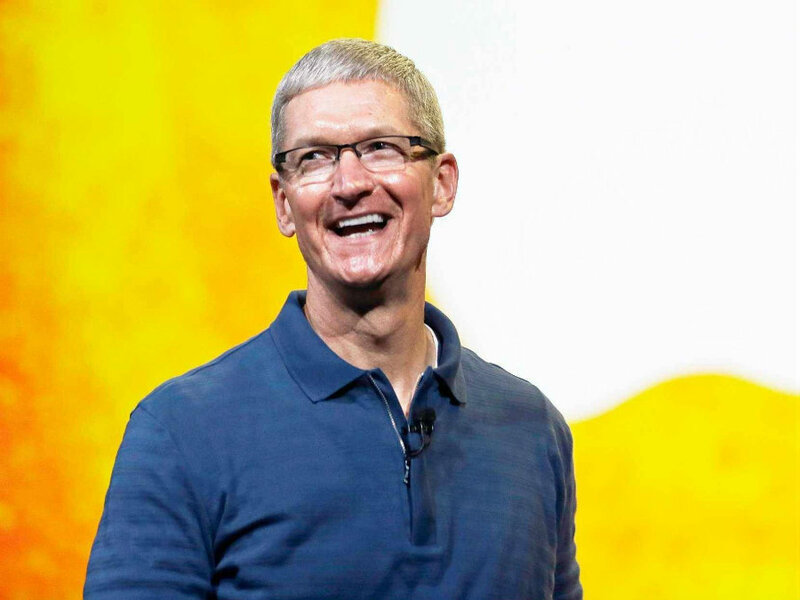 Cook said Apple’s new investment was driven by “strategic reasons”. The company headquartered in Beijing said this is the “single biggest investment” ever received, according to Reuters. There are 11 million rides registered on DiDi’s platform every day, said the company in a press release. It works alongside 14 million Chinese car-owners.